If you’re looking for a job in book publishing, or if you're an author who would like to know more about the roles of the various editors, here are the most typical editorial jobs within a publishing house. In its most idealized form, the job of a book publisher is to be both the editorial visionary and the business head of a publishing house or imprint. In trade publishing, the publisher sets the broad tone for the type of books the house publishes. The rest of the editorial staff reports acquisitions up through the ranks at the eventual discretion of the publisher. Reporting to the publisher, the editorial director of a publishing house or imprint is usually the person in charge of directing the day-to-day efforts of the editors. He might also have his own list of books to edit, but it will likely be a small one, owing to the managerial responsibilities of his role. Acquire the book from a literary agent. This means reading proposals and their manuscripts or sample chapters and assessing the potential novel or non-fiction book’s appeal to the marketplace. It necessarily means writing a lot of rejection letters. If a book project passes her muster, the editor then acts as its advocate to a larger acquisitions committee. If the editor gets the high sign to acquire a book, he or she will then have the task of negotiating the author’s contract with the agent. In much rarer instances, an editor may acquire an un-agented manuscript. Make sure the author stays on track with the manuscript. 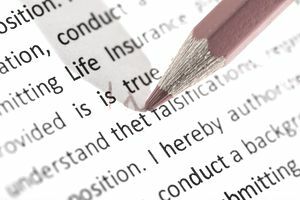 The editor works with the author to ensure the manuscript that comes in lives up to the book’s promises: that is, type of content, quality of information, and good writing. This means the editor will check in with the author while the manuscript is being written, to assess progress. If there are warning signs that the manuscript will be late, the editor keeps the managing editorial department—and her bosses—apprised of the schedule. Between the time a book manuscript is due and the time it goes into production, there a number of editorial stages through which the manuscript needs to pass. Be an advocate for the book to the marketing department, the publicity department, and the sales department. It’s part of the book editor’s job to ensure the marketing, publicity, and salespeople are fully apprised of the individual book’s value and potential in the marketplace. Depending on the house, editors may be required to write “tip sheets” for the sales department or catalog copy for marketing. The editor will likely work very closely with publicity to ensure that the book and author’s respective potentials are fully exploited to the media. Editorial assistant jobs are the entry-level editorial jobs in book publishing, and share many aspects of administrative assistant jobs in any industry. An editorial assistant traditionally desires an apprenticeship’s path to becoming a full-fledged editor. The editorial assistant helps the editor with the labor- and communication-intensive editorial tasks, such as reams of editorial correspondence (including sending all those rejection letters), keeping track of schedules, etc. The editorial assistant also acts as a gatekeeper for the editor, helping to manage the barrage of incoming phone calls and emails. If he is effective, efficient and proactive, the editorial assistant may be allowed to help assess the merits of incoming manuscripts and perhaps work on projects of his own, under the auspices of the editor. For most trade publishing houses, the “development” of a manuscript is handled by the acquiring editor herself. At textbook publishers, a developmental editor is sometimes engaged to work with the author to help shape the book’s content, ensuring that the information flows in properly, in a logical progression for a class syllabus. Assistant editor, associate editor, editor, senior editor, executive editor are all iterations of the book editor’s job, with increasing levels of responsibility, often based on the success of previous projects. With each bump in title, an editor gets more freedom to acquire more expensive book projects or projects to her taste. Despite their editorial titles, the managing editor and the copy editors fall under the auspices of the production department, not the editorial department.